Ruben Loftus-Cheek played a major part in Chelsea opening the scoring against Wolves this evening, as the Blues took the lead against Nuno Esperito Santo’s side via an own goal. Chelsea had threatened a few times up until this point in the match, however they had to rely on Loftus-Cheek’s brilliance to break the deadlock at Molineaux. The England international cut in from the left hand side before firing an effort at goal, one that found it’s way into the back of the net via Conor Coady. 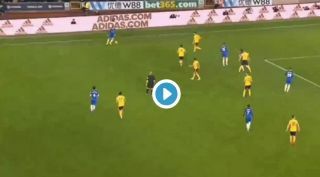 Here’s a clip of Chelsea opening the scoring in their tie vs Wolves this evening. Great work from the Chelsea youngster!